Welcome back for Year 5 and the book Rowling apparently decided to name after me. During our mid-series hiatus I actually visited Hogwarts (via Orlando), an experience that I am certain will result in more nuanced exploration of the final four films. Definitely. Oh. I appear to have put in Catcher in the Rye by mistake. Oh good, we all know how good Harry’s self-control is when people mention his mother. Odds on it having improved? Xenomorphs? Is this Alien vs Potterer? Not a huge fan of their new look. Who told her Harry was intelligent? Brave, sure. But when has he showed intelligence? Oh right, they’re FINALLY enforcing that no magic rule. Only presumably now this is supposed to be bad bureaucracy? 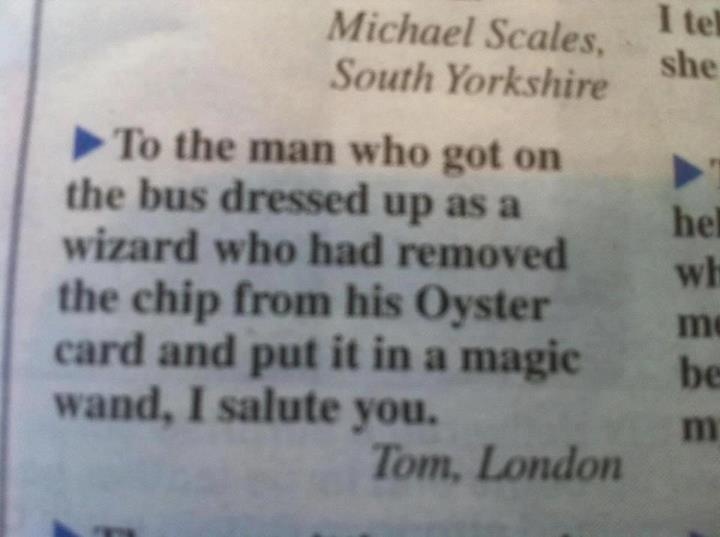 Obviously it’s the most forgiveable use of magic outside Hogwarts so far. Nymphadora is Jean Grey when she’s angry? I mean, valid Phoenix connection there. No one saw this, presumably? But it looked cool so it’s okay. Totally unfair, enforcing rules. You’d think Hermione would approve. Ah yes, the traditional “Harry conveniently sees Lucius looking suspicious in the opening Act”. I do like her. She shows suitable lack of respect for procedure. As a lawyer obviously I cannot approve at all. “Laws can be changed if necessary.” Who put Theresa May in charge of the Ministry of Magic? Did Fudge even get a majority? Oh, clearly not if he can’t force that vote through. This is all very familiar. In fairness if wizards are still reliant on fossil fuels, I can see why the London Underground would be so impressive. Do wizards not care about their carbon footprint at all?! “You’re just as sane as I am.” Is this Luna? I think we’re going to get on. Oh right, so Harry thinks it’s fine to attack other people’s mothers?! It doesn’t count because they’re still alive? ORDINARY Wizarding Levels. So they’ve not introduced the General Certificate of Secondary Enchantment? How far behind are they, given that they’re mimicking Muggle education. So magic is unsafe in the classrooms but fine for disciplinary torture. How is hiding what’s happening going to help Dumbledore run his school, Harry? Is this just revenge because he told Ron and Hermione not to tell you everything? What is the evolutionary basis for only wanting to be seen by those that have seen death? I mean, virtually any predator would have seen death. That’s one hell of a toast rack. “Questioning me is questioning the Ministry and by extension the Minister himself.” Ah, facism. “Obviously.” Alan Rickman continues to be exquisite in a single word. “Grave danger.” Like anyone at Hogwarts, so technically she’s right. Just unimpressive. We’re already reliant on technicalities. Rarely good. This looks a lot more comfortable than last time in the coals. Asking to know about Cedric’s death is hardly unreasonable. Refusing to talk about it is definitely not helpful if you’re trying to win people over. Hermione is on team Saying “Voldemort”. More of this. So the Ministry is worried about Dumbledore building an army to challenge them, which he wasn’t. So in response Harry, Ron and Hermione are building an army and literally calling it Dumbledore’s Army just in case it wasn’t clear enough. Any stronger and that kid would have ended up in the fire. Does the Room of Requirement also have fire extinguishers when required? So Harry and Cho are still a Thing. The Room of Requirement has some decent spell CG upgrades. This is one manipulative room. I can see why Mr Weasley is obviously grateful but Harry’s accomplishments continue to be rather passive – seeing things and telling other people. Being angry isn’t a symptom of the Dark Lord, it’s a symptom of being a teenage boy. Ooh Bellatrix. I met her at Gringotts. She looks wonderfully sane. Neville has parental secrets too. So that’s where he gets his grit; just needs the skill to back it up now. I did say “Dumbledore’s Army” was a stupid name. Idiots. Although, is Dumbledore trying to break into Azkaban by claiming responsibility? So no, he’s “not going quietly”. And yes, he does have style. He’s learning to care less. Can’t say I entirely disapprove. Although “going it alone” doesn’t seem like the best option for the Boy Who Relies On Other People. Snape actually knew your dad, Harry. He’s got far more right to comment on him than you. Yikes, and a bully too. Did anyone ever think their skills lay inside the world of academic achievement? Uh oh, this is going to be a serious prank, isn’t it? Pretty, but generally doesn’t everyone hate the disruptive twats who prevent people from actually concentrating during important exams? They nicked one of Gandalf’s dragon fireworks from Fellowship! Albeit, via Mushu from Mulan. “No idea.” Still at his best with virtually no lines. And we’re into “the ends justify the means” torture. “I will have order!” Yes, Ms May. I’m quite sure you will. Spoilers: this is the part where you lose your majority. “I must not tell lies.” Zing. Harry’s learned how to quip. Oh right, flying into London. Because no one in London has “seen death”? This prophecy is likely to be my issue with the ending of this series. Classic Tim Burton Helena Bonham Carter. Did she actually go into make-up at all? Good. If five kids were able to muddle their way into beating Death Eaters, their reputation seems ridiculous. Now this is much more like it. And again, avada kedavre is such an ignoble death. Even with Harry’s pain and mirroring Cedric’s father. I do like Albus calling him Tom. Not buying into that mystique. I’m guessing this mental duel works better in text than here. Pretty light on the prophecy unpacking here. There’s much more natural chemistry between Luna and Harry than with Cho. I get the point Harry is trying to make, but I’m pretty sure Voldemort thinks he has something worth fighting for… you know, existence amongst other things. 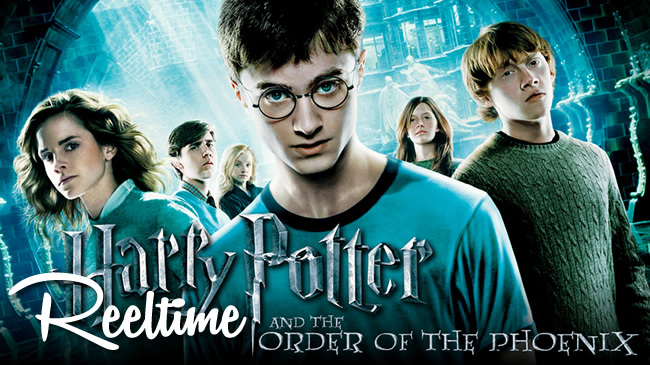 So David Yates takes over for the rest of the series now. I can’t say I was blown away by the direction specifically, but it’s a strong hand and continuity is probably a good thing. I felt this was narratively weaker than the previous two films. I assume they had to cut out a lot of material here. The first half dragged rather a lot, but the second half is what we’ve been building towards. I felt Ron and Hermione were almost extraneous in this film. I assume they were busy running Dumbledore’s Army off-screen? New characters like Luna end up in the thick of the action somewhat inexplicably. Ultimately I’m increasingly more interested in the adults because this is really the continuation of their fight that Harry’s just been dragged into. Like what happened to Mad-Eye’s biker gang for most of the film? I’d watch that spin-off. And that’ll do it for this one. We’ll be back soon with Year 6!